14 | September | 2009 | J&A + fun! So while I was putting Emmy down one night Kaylee fell asleep in Alex’s arms. 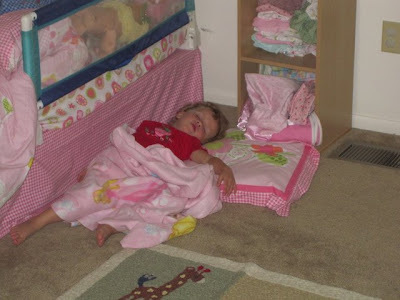 Since Emmy was still being pretty rowdy Alex laid Kaylee down in the office and she slept on the floor for a few minutes. So we took a picture because she looked so cute! For Christmas Kath gave us all certificates for airplane flights. Alex and I had been planning on using them for our anniversary next year but then we found out they expired before then SO we decided to use them early! We looked for the shortest and most available flights and ended up with Las Vegas! We had never been before so we thought it would be fun! It was a great weekend and we had a lot of fun! 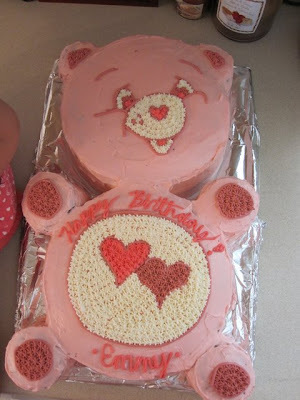 Thanks KATH!! 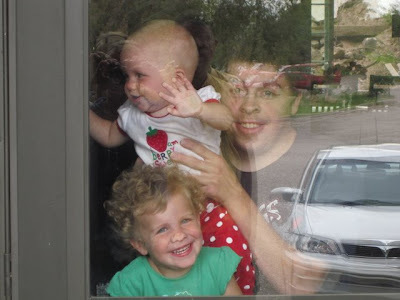 Here are the girls at the window with Uncle Christian as Alex and I were leaving to head to the airport! 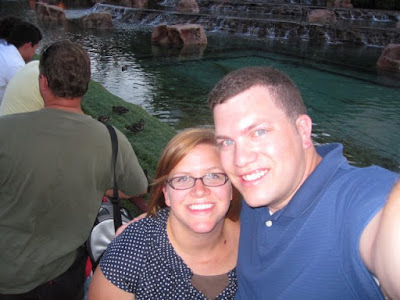 Another reason we chose Vegas was because of the good hotel deals! 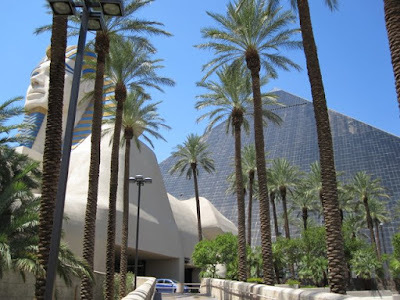 We stayed in the Luxor for $30 a night! 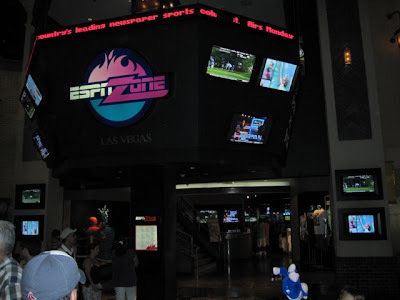 Alex’s favorite part of the trip was going to the ESPN zone in New York New York. Your table comes equipped with surround sound and a flat screen HD TV on the table! Then you look out to a giant wall of big screen TVs each with a different sporting event to chose from. Then you can pick which you want to listen to and tune your own tv into the game! Plus the menu is a bunch of giant hamburgers! I have to admit it was pretty cool…but for Alex it was more like paradise! I totally look dazed this picture! But here we are at the ESPN ZONE! You can see the reflection of the TVs in the glass behind us and that giant metal around the booth is a giant speaker! “I wish I were big!” That is such an awesome movie we had to take a picture with the fortune teller! We went to FAO Schwartz in Caesar’s. It was really fun to look around at. 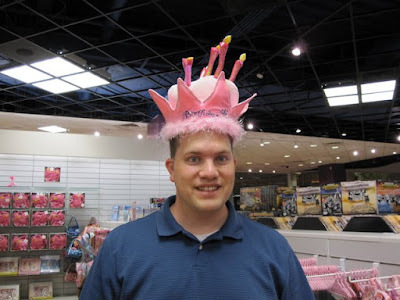 Here’s Alex wearing his birthday princess hat! 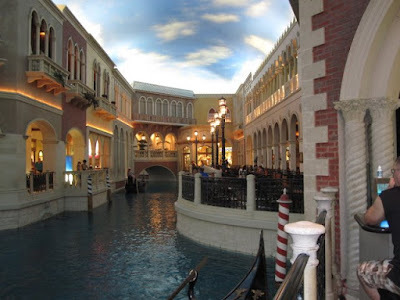 Here’s a picture at the Venetian. We had planned on taking a gondola ride there but since it turned out to be 16 dollars a person we decided to just take a picture instead! For Free! So this picture was from the pirate show at Treasure Island. Funny story though! This used to be the street show you could take your family to see and stuff because it was just two pirate ships blowing each other up. But apparently they “jazzed” it up a bit since most people saw it…so now, instead of pirates fighting pirates they are fighting sirens (AKA girls in lingerie). So this is the only picture we took of that because we spent the rest of the show trying to get out of the crowd and when that didn’t work we looked at the ground. As we finally did walk away everyone was like “thats not the show it used to be…” So we weren’t the only ones that were surprised! I felt bad because there were a bunch of people with little kids and stuff that you could tell were really embarrassed. I felt stupid that we were there too! Alex’s quote from that was “when it is pirates vs. strippers nobody wins!”. So true Alex! Here we are playing with the camera self portrait setting while we wait for the volcano to erupt at the mirage! Here’s our trip to Paris! 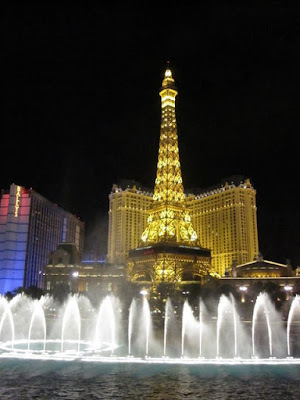 Just kidding…this is the casino Paris behind the fountains at Bellagio! 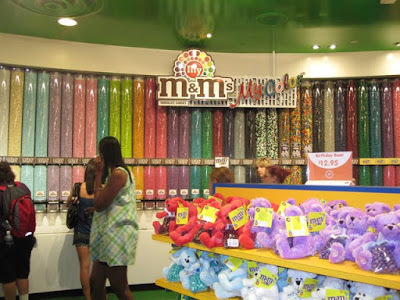 And finally, the best thing for Mormons to do in Vegas…go to M&M world! 4 floors dedicated to the making of delicious little chocolates! 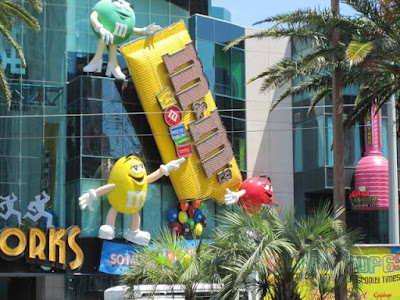 They have a movie and a ride where they pretend you are a peanut being made into an m&m. And the coolest thing was the wall of chocolate! All the different colors you can think of! They were like 14 dollars a pound so we didn’t actually buy any but it was cool to look at! Alex did buy a m&m flavored chapstick for Emmy and so she always smells like chocolate now! 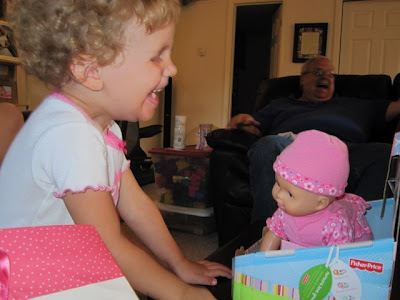 She was very excited! 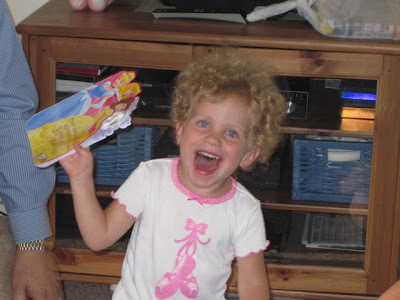 And we got Kaylee’s Halloween costume there too…but you’ll have to wait for Halloween pictures to find out what it is! Anyway, while there were some not so good things about Vegas there was also a lot of fun and free stuff to do there. While we probably wont go back anytime soon it was fun to get away by ourselves for a little bit!